MDA generally involves applying multiple model transformations. These transformations need to be applied in a particular configuration, depending on the targeted platform. Several techniques exist to manage the configuration of various software elements or components. These techniques focus on the composition rules of the various elements. A well-known application area of such techniques are Software Product Lines, in which the various features that make up a software product need to be configured. 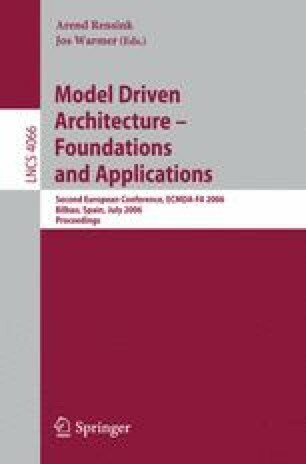 In this paper, we will investigate how several of these techniques can be applied to manage the configuration of model transformations in an MDA context.